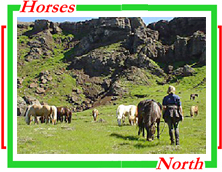 Iceland and its horses are our passion and we go to Iceland to ride with our outfitters and guides as often as possible. A few times a season we invite clients to come with us. We often have riders tell us how much they appreciate being told what to expect in this faraway land, so we explore as far and wide as we can while we are there, checking out hotels and restaurants (when we get off the horses! ), and finding the best hot springs. It's a very tough job. Here are some selected riding tours with spot descriptions and links to fuller texts. You’ll see a lot of Iceland's varied terrain and landscapes on this tour. It’s a great way to see how Iceland’s horse is so well suited to it’s homeland. Evenings, off the horse, you’ll enjoy the outfitter’s comfortable farm hotel with a last night in Reykjavik, too! 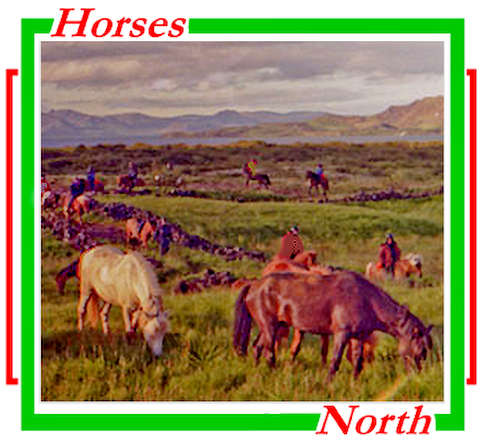 good for those just starting with Icelandic horse. 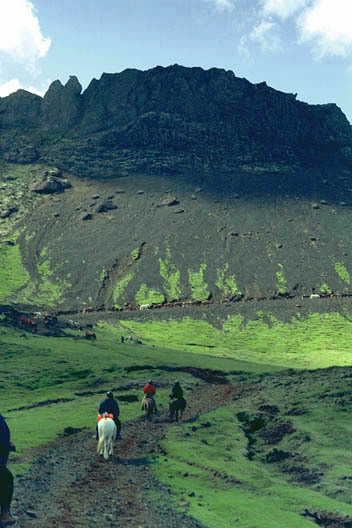 The Thórsmörk tour has always been popular with Horses North! It takes riders through one of the loveliest spots in a beautiful country and it’s particularly fascinating to ride into this area on horseback. 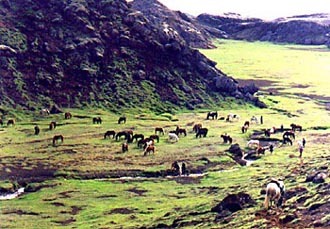 This tour is unusual in that it is a short tour that brings along a herd of loose horses as remounts. The best day-stages from Iceland's most popular outfitter, plus the Beach Ride.Some exposure to Iceland's history and culture, like a visit the National Park Thingvellir. You will bring a herd of horses on day 2 and 3 and experience one of the horse world’s singular thrills of driving your remounts in a loose herd. 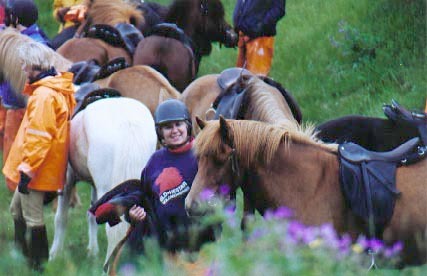 This tour brings together some special riding routes with the comfort of the Hotel Eldhestar. You’ll travel each day to a different riding region. It’s 4 days in the saddle. Then back to Reykjavik for a last night! A dramatic array of Iceland’s most impressive landscapes. Your herd of horses will thunder into Thingvellir and one can imagine being a Viking in the year 1000 who has ridden for days to get here and is ready to attend to business and politics. Then there are soft grassy fields, hard lava trails, river crossings, by towering rock formations and immense waterfalls. It’s a tough ride, but worth every step! 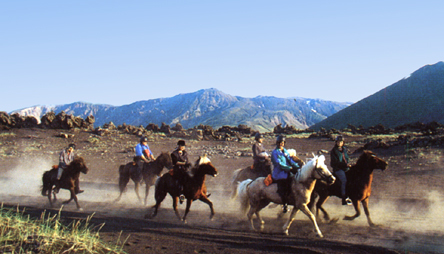 Ride with a herd of Icelandic horses between the volcano Hekla and Tindafjallajökull Glacier. This area is known for its nice, soft riding paths and very unusual and beautiful nature.